Looking for funny names for male dogs? Finding that one perfect name for your new dog can be a hard task. We know that some people really struggle with getting inspired or finding the right name, that is why we have everything here to help you! Maybe you have been looking for ages already, or maybe you just started. Either way, you could use some help! 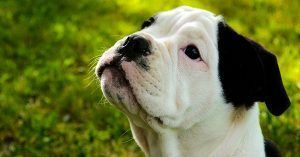 Funny dog names male is something we can definitely help you with, we will even name a few examples on this page! Keep reading and find out more about choosing the right name, our dog name generator and many more tips and tricks from Tinki! To inspire you, here is a short list of a few funny boy dog names. These are names that we really like, maybe the one and only name for your puppy is in there! If not, do not stress you will definitely find more on 123Tinki.com. 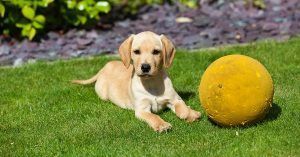 You can find a database of over 38.000 dog names here and an incredible tool to help you sort out these names. Keep digging and find things like Disney dog names, cool puppy names, dog names starting with M or the best puppy names! Our incredible tool to help you sort through that huge database of ours is the dog name generator. This generator is able to show you a list of suitable dog names for you personally. In order to do so the generator simply needs to know what you like! You can switch on different filters to select the things that you prefer. For example select ‘funny’ and ‘male’ and the generator will show you all the funny boy dog names from our database. Choosing the right name for your puppy is not always as easy as it seems. The following tips can help you to narrow down your list of choices! Keep reading to find more tips on choosing the perfect name. Make sure you are able to pronounce the name clearly by practicing the name out loud. Does the sound of the name fit your puppy’s character? Check the length and complexity of the name, make sure it is a short and clear name. For years, dog’s have been a man’s best friend now. Through all these years, the way we name dogs has changed a lot. Besides the way we name our dogs, the way we treat dogs has changed as well. In our modern western culture it is more common to dress your dog in clothes while in other cultures you would rather see dogs end up in food. This is a very high contrast of course but it is true. Sadly, only 17% of all the estimated dogs in the world live with loving families. All the other dogs are strays. Thankfully, you have decided to give a dog on this world a loving home! Which is great. Maybe the following stories of beautiful, heroic dogs, famous from history, will inspire you to find that one perfect name. The first dog you might think of when it comes to extreme loyalty. If there is one relationship that is incredible it is the relationship between man and dog. Shown perfectly through the story of Hachiko. Hachiko was a Japanese Akita that walked his owner to the Shibuya train station every day. When his owner returned from a long day’s work, they went home together. Day in day out. When Hachiko’s owner passed away, the dog kept waiting at the train station. Hoping for his owner to return, through day and night Hachiko sat in the same spot. When Hachiko himself passed away, a statue of him was put in his place. You can still find the statue there at the Shibuya train station to this day. Another very brave little dog was the stray dog Laika. Picked up from the streets of Moscow by Sovjet professors, Laika was trained to go into space! The professors trained Laika to stay in confined spaces and live off fluid food. Laika became the first dog to orbit the earth! Sadly, the spacecraft Laika was in was destined to burn up in space. Which means Laika was never going to make it back home. Although this was the case, researchers later discovered that Laika already died 3 hours into the ride due to stress and heat. As we said, dogs have been a man’s best friend for quite some time now. Years ago, dogs were still used as working animals. For example pulling the cart of a dairy farmer. Although we said years ago, some dogs are still used as working animals now! Think about using your dog as a guard dog or training your dog for hunting activities. Some breeds were bred for those purposes and do still need to be trained that way, to make sure they get enough exercise etc. Besides looking at which names you like, it is also good to consider your dog’s character, appearance and breed. Some names work really well for hunting dogs and especially if you want to train your dog really well, a short and clear name can be incredibly helpful. For example, German Shepherds are often named Rex or Nero. This does not mean you should name your dog that way, it can actually help you to do the opposite! Although looking at dog name trends is a lot of fun, it can definitely help you to figure out which names you do not want. After all, it will be much more useful if not every dog in the dog park has the same name as yours! This is something you can decide for yourself. If you really like the name Snuffles and think it is a funny dog name for your male dog, choose it! Honestly, it is your decision. Whatever names you think are funny will definitely be funny boy dog names. The funniest dog names are of course the names that you find funny. But you came here to get inspired! That is why we have listed a few names that we think are the absolute funniest dog names male. A few were already listed at the top of this page but here are a few more. You have read our tips already at the top of this page, of course they might need a bit more explanation. To remind you or if you might have skipped the section, these are the tips we gave. Our first tip is a very important one. You really have to make sure you are able to pronounce the name clearly. Now you might already have a list with a few names. This is good! You can practice all those names from the list out loud. Are you able to pronounce them clearly? Then they could be perfect! Often when calling the name out loud you will feel if the length is okay, it is not too complicated to call out loud in alarmed situations and if the sound of it suits your dog! This brings us to our second tip, make sure it suits your dog! You could also practice this out loud when you are visiting your puppy at the breeder for example. Call the name out loud and look at your puppy at the same time. You will feel if the name fits. Length and complexity are very important aspects of the dog’s name. Like we said, you have to be able to pronounce the name clearly and your dog has to be able to understand you at all times. This is why it is important to make sure the name is short and clear. Your dog will perceive his name as a command, it simply means paying attention to you. Every command we teach our dogs are short and clear terms so make sure the name is simple as well. We cannot tell you enough, please take your time. You really do not have to rush a decision like this. After all, you will have to call the name for the rest of your dog’s life! Which will hopefully be a really long time. Think it through and make sure you love the name 100%! Alright, because we enjoy them so much as well… Here are a few more examples of funny dog names male. These are all funny Mr dog names! Hope you like them! !